Katherine Williams became a coach for the NorCal League while living in the Bay Area. In 2010, she moved to her husband’s home state of Tennessee so he could open a bike shop, but they didn’t want to leave the NICA way behind. “Bicycling has enriched my life beyond belief and continues to open windows of opportunity. We are thrilled to develop this program for student-athletes in Tennessee”. Katherine grew up running in San Antonio, Texas. She was an NCAA All-American cross country and track runner at Texas A&M and the University of Texas at San Antonio, where she earned a B.A. in English and Masters in Kinesiology. Until 2016, Katherine organized running and triathlon events as a race director for Start2Finish Event Management. She recently started a family, with her new focus on motherhood – and getting more kids on bikes! She is also a category 1 bike racer for the local team – Team Belladium. Speed Baranco has been a life-long biking fanatic since his young paperboy days. Speed has taught mountain biking, grades 7 – 12 at St. Andrew’s-Sewanee School and currently coaches the SAS mountain bike team. Speed formed a Tennessee high school mountain bike racing league in 2003 and ran it under NORBA sanctioning until the 2008 season. Speed has always been a self-employed entrepreneur and leader. Speed founded and ran a forestry consulting firm and later a real estate brokerage company in Sewanee. Currently, he runs Real Estate Marketing, LLC. He has served as Scoutmaster of his local Boy Scout troop for nine year and has lead youth in many high adventure outings. He attended the 2012 Colorado Leaders Summit and became Head Coach trained while experiencing the comprehensive NICA program at work. He shares the NICA vision and the benefits of the mountain bike racing program for our youth. Speed is excited to share his knowledge and experience with the team. Cali Ewing is an Internal Audit Manager for the publicly traded Tractor Supply Company. She has 10 years of experience in accounting. Cali was a swimmer at her high school in Urbandale, Iowa and a Division 1 Women’s Rower in College. In 2001 she graduated from the University of Iowa. Cali did a little mountain biking in grad school and in 2004 bought a road bike and loved it from the first ride. She is currently a Category 3 road racer on Team Belladium. Cali attributes her experiences as an athlete as key drivers in her development as a professional accountant. She wants to give back to her community and provide high school students opportunities for success. 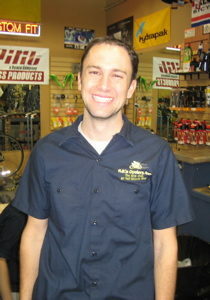 Jay’s love for tinkering and wheels landed him a job at his local bike shop when he was 16 years old. His own competitiveness in cycling and triathlon directed him into a Master’s Degree in exercise physiology at the University of Texas. During that time Jay was invited to work with USA Triathlon as one of the World Cup bicycle mechanics. He continues to travel around the world as the USA Triathlon and Duathlon mechanic, meeting some of the worlds best endurance athletes.Upon graduation, Jay opened and managed a triathlon store in San Antonio, Texas. Then moved to California to work for Specialized Bicycle Company. Today he owns and operates, RB’s Cyclery in Franklin, TN. Steve Beckett is husband to Ann Beckett and father to Paige, Sydney and Carson (who races for Brevard College). Steve works for Lata Sharp Remediation Services on deactivation of the old USEC Uranium Enrichment Plant. He enjoys biking, trail building, fishing and hunting. Among his many accomplishments are LL 100, Ride Across Indiana, and 45 mile trail run on LBL loop. His favorite trail is the Barr Camp Trail in Colorado Springs, descending Pikes Peak. Steve has travelled to Norway and Andora for MTB World Championships. He loves riding with his son and coaching the Marshall County Marshals. 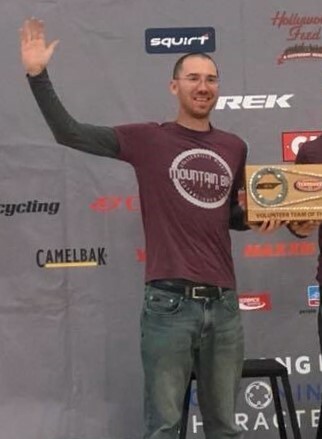 His goals are to continue growing the sport of mountain biking in Tennessee and Kentucky with the hope that Kentucky will have a League some day. Beth Pride Ford started mountain biking in Florida (really!) while attending college in the mid-80s. After college, she took a 20-year hiatus from biking until she accompanied her 10-year old son on rides with Speed Baranco (biking coach at St. Andrew’s-Sewanee), and his son. 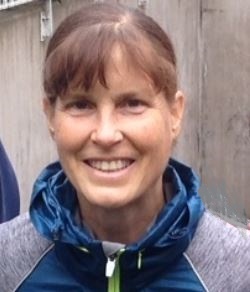 After participating for several years as a tag-along parent and assistant coach with Speed, Beth Pride became a licensed NICA head coach in 2012 and assistant coach for the high school and middle school programs at St. Andrew’s. Besides mentoring kids to ride bikes as a lifelong activity, her main goals for coaching are to teach skills that will ensure safety, create a fun riding environment for all ages and skill levels, and to inspire girls to become involved with the sport of mountain biking. John Donnelly got his start coaching at Collierville as general volunteer and became head coach for the Middle school in 2018. Inspired by the mission and phenomenal production of NICA events as well as the impact on student athletes, he wanted to commit even more to the GRIT program and the growth of the league as a Coach Supporter in 2019. John has 3 kids who have picked up the passion for racing so he plans to be involved with the league for many years to come. John also races as a CAT 1 and placed Top 10 at both the USAC MTB Marathon Nationals in Arkadelphia, AR and USAC MTB XC Nationals in Snowshoe, WV during 2018.